When Luke Hocking turned five-years-old, his young eyes lit up as he shredded the wrapping paper off his first magic kit: a gift from his father. Little did he know that would pave the way for a long, exciting career as a magician, illusionist, comedian and personality on the Australian corporate entertainment scene with Impossible Occurrences. That kit taught him the art of illusion – using traditional props like cards and rings, but soon it became apparent that tradition was not Hocking’s game. He wanted to stun people, entertain the crowd, make them laugh and gasp at the same time and incorporate unthinkable props to truly blow minds. Luke went from being the kid with the stutter to the supremely confident illusionist that was king of the playground. So in his teenage years, Luke gave away his accountancy job (which he joked made him a magician in two ways: you also make money disappear) and became a professional illusionist that is famed across Australia. Forget what you think you know about magic shows. There are no flowing capes here, no top hats and definitely no rabbits; they are a nightmare to get through airport terminals. There’s no gaudy music, no revealing sidekick. When the lights go down, Luke himself will announce himself in just a suit and a smile. Because this is the beauty of his show – it is about sleight of hand and true illusion, not distraction through bright colours and explosions of ribbon. Luke’s shows are ever-changing and never predictable, but just some of the props he has used in the past include a goldfish and a lemon. If you are lucky, you might even be the audience member he chooses for some mind-reading. Magic is only half of the show, with Luke’s engaging personality and quick wit sure to draw laughs galore from any crowd. His shows are not scripted and audience members snap to life with on-the-spot jokes and situational humour designed to generate true interaction between performer and crowd. Additionally, Luke always customises his show on the fly – depending on his audience, their backgrounds, their responses and how the night unfolds. Impossible Occurrences will always keep you guessing, laughing and then guessing again. That’s the beauty of it all. We mentioned that this is no traditional magic act. It differs in another sense as well: Luke wants you to try and guess how he is blowing your mind. From the first instance, he will roam off the stage and interact with audience members, challenging them to try and unlock his secrets. 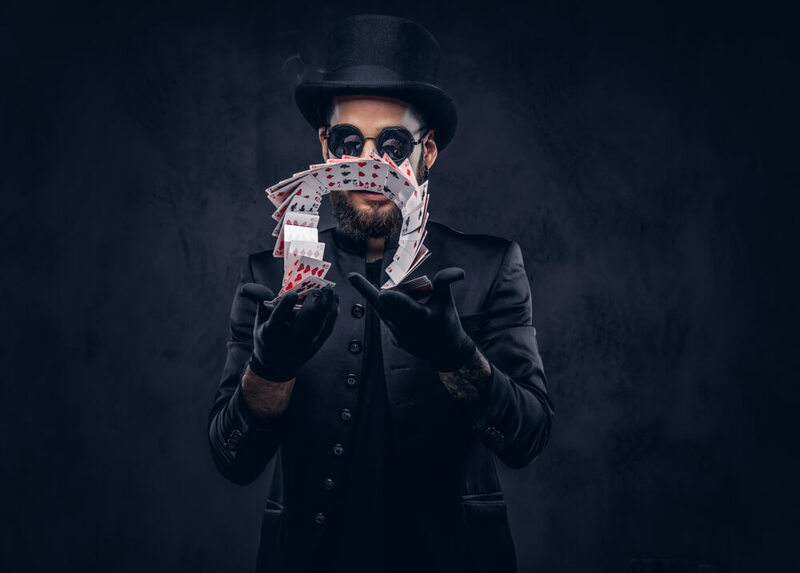 Luke has always noted that the experience of his shows are designed to be in closed-quarters; it’s a boutique moment that sets the show apart from large-scale illusionists you might find in Las Vegas. Half the magic is giving the audience the opportunity to scrutinise the antics, and try to work them out. While Luke’s adults-only shows can be a touch risque, he is also available for family-friendly events that are known to be a hit with children. One of his biggest shows was for the Walt Disney Company, who raved that the performance was: “A true highlight enjoyed by the kids and the adults”. Because Luke’s career began by entertaining his contemporaries when he just a child himself, he loves putting himself back in those shows and unlocking the wonder in little eyes. Most of the time, children walk out of his shows wanting to learn magic tricks themselves and Luke enjoys providing inspiration for the next wave of young illusionists. Luke is based in Melbourne, Victoria, but he regularly takes his bag of tricks on the road with him to bring Impossible Occurrences to destinations across Australia. Because of the nature of his entertainment, he is capable of dazzling a small intimate crowd all the way up to large corporate functions and theatre shows, and has the flexibility to customise the show according to the specific audience. You can contact Luke on 0407 514 551 or email info@lukehocking.com.au to find out more or to book your next corporate function. If you’ve got an event in mind, get in touch to discover how Impossible Occurrences can ramp it up.